Need to quit smoking? Acupuncture can help! smoking, or even quit smoking completely, and the effect may last for at least 5 years. Acupuncture may affect the subjects' smoking by reducing their taste of tobacco and their desire to smoke." An interesting article written by a licensed acupuncture was posted online recently, and it does a nice job outlining how acupuncture can help kick the urge to smoke. Click here to check out the article. 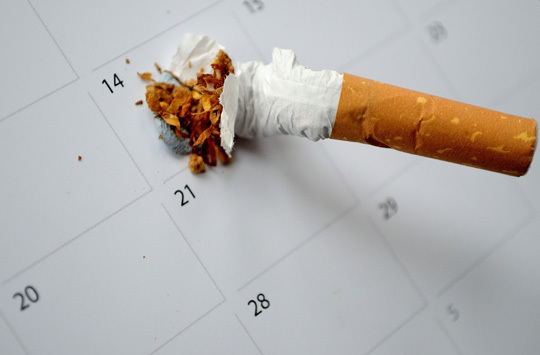 If you are ready to quit smoking, give our office a call to start your acupuncture treatments today!